It isn’t always easy to find a great beach town in the Caribbean. That’s because many of the best beaches are free of people and development and many great towns are more strategically placed on harbors or the like. 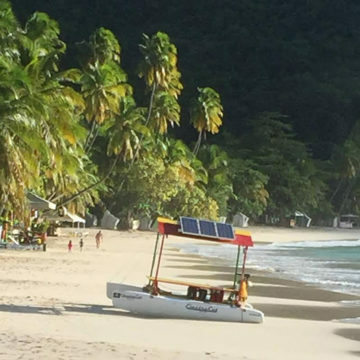 But there are some outstanding beach towns in the Caribbean if you look hard enough: places that marry beautiful sand with lively, energetic, culturally rich towns. These are the Best Caribbean Beach Towns. While it’s famous for kitesurfing and all manner of watersports, Cabarete is a hip, cosmopolitan place with a diverse population of both locals and expats from around the globe. Whether you’re looking for great restaurants, booming nightlife or bohemian cafes, it’s all right here. (Above: Cabarete’s Villa Taina hotel).